When you want to be pampered, you want to be pampered by the best! Dr. Christine Petti and all our staff at Spa Bella are always working hard to ensure that our patients receive the best care. Readers of the Daily Breeze of Los Angeles have recognized our dedication to excellence – we were recently named “Best Medical Spa” in the Daily Breeze Readers Choice Awards! We are thrilled to achieve such an honor, and we hope to continue to show our patients how much we truly care. Whether you’re looking for a refreshed look from one of our Bella Youth Activating Facials, or rejuvenation from our line of Stemology™ products, we are here for you and can help you find a skin care treatment that will benefit you most. Dr. Petti and our highly trained staff can also create a customized treatment plan with our wide variety of cosmetic injectables, including BOTOX® Cosmetic, JUVÉDERM™, JUVÉDERM VOLUMA™ XC, Sculptra® Aesthetic, and more! 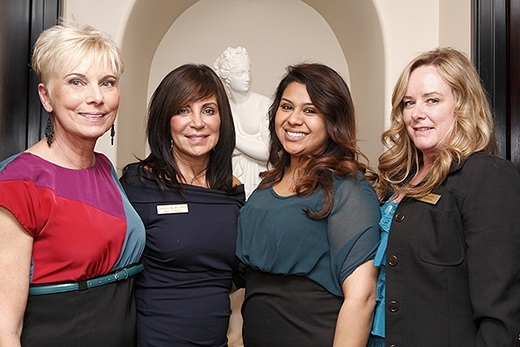 To learn why Daily Breeze readers chose us as the “Best Medical Spa,” come see for yourself! Contact us today to learn more, or to schedule a consultation. We look forward to helping you look and feel your best!